I've been seeing tessellations in lots of different places and realise that they are being used in so many situations such as tiling on both walls and floors. At visits to various garages and big buildings I've seen one particular style of tile that's good to create and tessellate. Here's how it goes. A - You start with a rectangle that is twice as long as it is wide. B - Then you make a roof shape at one end - this one happens to be as high as a quarter of the base of the triangle it has made. C - You then put the same triangle on the other end. D - On one side you take a bite out just the same size as the roof triangle. E - Then do the same at the other end of the opposite side. 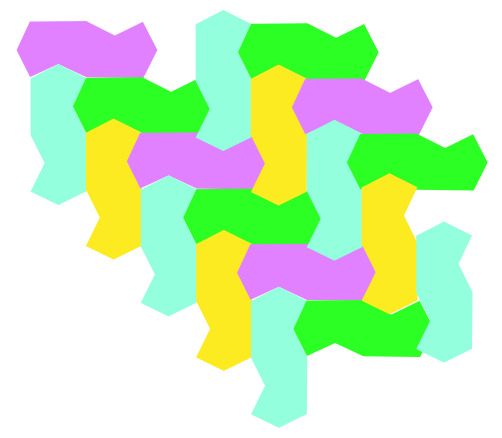 Now you have the tile shape for tessellating like the floors I've seen. Now it's time for you to try and find some ways of putting shapes - like these two examples - together! 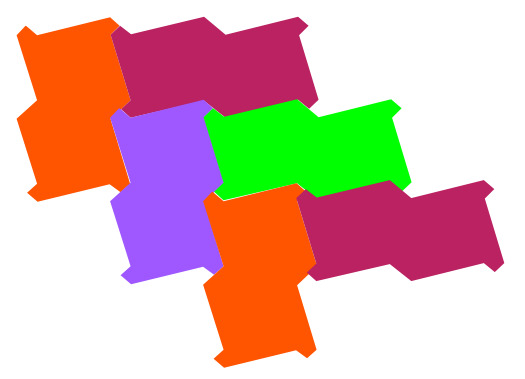 Let us know how you made your shape and do send us some pictures of your tessellations. Combinations. Tangram. Compound transformations. Working systematically. Practical Activity. Investigations. 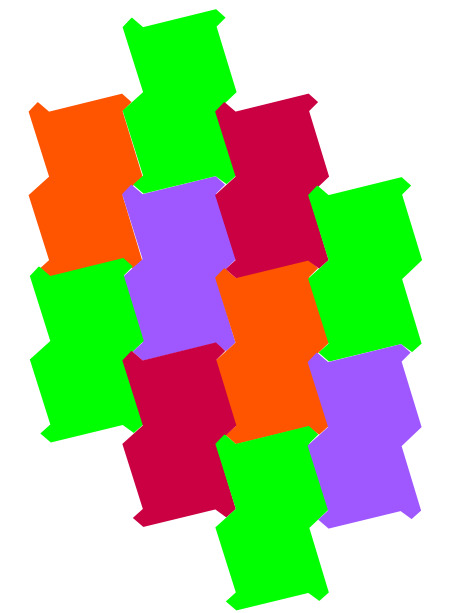 Tessellations. Visualising. Interactivities. Addition & subtraction.